If you are trying to choose the perfect mobile app for your small business, there are a lot of features to look out for. There are a huge number of receipt management apps now on the market in 2019. Many offer different features that help them stand out, and finding the right app that fits your business’s needs is important. Look for the following features when choosing the right receipt management app for your small business. Many of the most popular receipt management apps offer financial reporting features to assist you. This allows you to integrate your receipt management into your financial tracking. This streamlines your business practices and help you save energy. With less time spent switching between apps or programs, you have more time to focus on the core of your business. The ability to generate financial reports is probably the most important feature to look for when choosing a receipt management app. Depending on the type of small business you run, you may need to depend on an app that integrates with email and paper records. Look for an app that allows you to incorporate company email and paper receipts seamlessly in one place. Your time will be wasted if you choose an app that does not easily allow you to utilize paper receipts. This depends on your particular business’s needs. If your small business is a retail store, you may want to rank this feature highly when choosing a receipt management app. 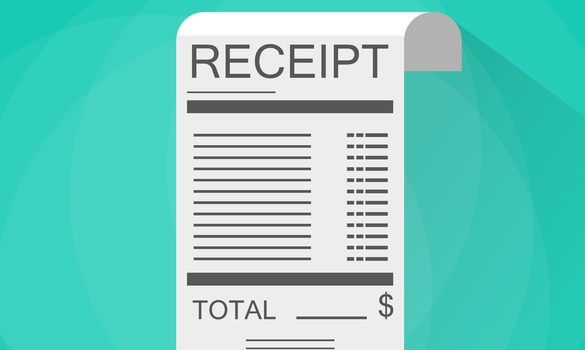 Some receipt management apps offer expense tracking. If you own a very small or one-person business, this feature can be a lifesaver during tax season. See if the app you are deciding on offers detailed expense tracking. Then, check if the app gives you the ability to mark certain expenses as tax deductible. Having a receipt management app that doubles as an accounting assistant during tax season can make all the difference. The receipt management app you choose for your small business is going to need to integrate with whatever accounting software your company uses. Most of the leading receipt management apps offer accounting software integration. You still have to be careful to ensure that the app is compatible with the exact software you use. Check to ensure that your paid or free accounting software versions are up to date. Older software may not integrate as advertised with the newer receipt management apps. Inquire with the app developer to avoid purchasing the wrong app. If you find a receipt management app that integrates well with your accounting software, it will be much easier to save time and become accurate. This can be a make-or-break feature in the receipt management app you end up choosing. Finally, you may want to consider the note-taking features of your receipt management app. If your small business requires you to be constantly on the go, a note-taking feature that allows you to add text or annotations to receipts can make all the difference. Ensure that you can access these notes from anywhere. Having secure online storage for your receipts and notes translates to greater security and ease of doing business. If you are very mobile, look for this feature in your receipt management app. Finding the right receipt management app for your small business does not have to be difficult. There are certain features, such as financial integration, that are crucial for saving you time and effort. Other features, such as integration and compatibility, are going to depend on your particular small business’s practices. Evaluate your small business needs and decide which features are the most important for you in choosing the right receipt management app.